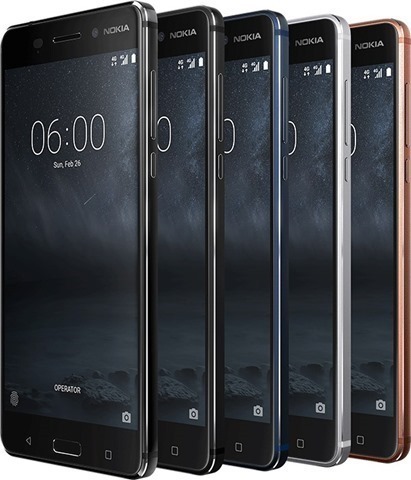 HMG Global has today, officially launched the Nokia 3, Nokia 5, and the Nokia 6 Android smartPhones, in India. Here’s a recap of each of the device’s hardware. All 3 phones run on Android 7.1.1 Nougat, a display aspect ratio of 16:9, 2.5D Corning Gorilla Glass, and features gyroscope (for VR and gaming), and support 4G LTE, NFC, Dual SIM cards, and support up to 128GB of expandable memory via MicroSD card slots. The Nokia 3 is the entry level device of the three phones, and is powered by a quad-core MediaTek 6737 processor @1.3GHzm with 2GB of RAM. 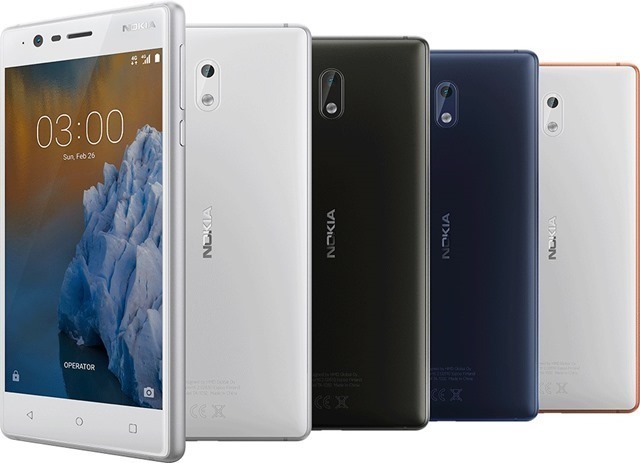 The phone flaunts a 5.0-inch IPS LCD 720p HD display with 450 nits brightness, an aluminum frame and a polycarbonate body.The onboard storage capacity on the Nokia 3 is 16GB, while the battery capacity is 2650mAh. The Nokia 3 has an 8 megapixel rear camera with autofocus, and another 8 megapixel front camera. The Nokia 5 is the slightly better mid-ranger of the lot, powered by an octa-core Qualcomm Snapdragon 430 processor, with 2GB of RAM, and 16GB of internal memory. The phone has a full metal body, a 5.2-inch IPS LCD 720p HD display with a brightness of 500 nits, Sunlight visibility and polarizer. The device is .The Nokia 5 has a camera department which comprises of a 13 megapixel rear camera, which supports PDAF (phase detect autofocus), Dual LED Flash, and an 8 megapixel front camera for selfies. The device is backed by a 3,000 mAh battery, and has a Smart amplifier (TFA9891) an accelerometer. The Nokia 6 has a 5.5-inch IPS LCD 1080p Full HD display, with an aspect ratio of 16:9, 2.5D Corning Gorilla Glass, and a brightness of 450 nits, and Sunlight readability. The device has a full metal body made of aluminum.The Nokia 6 is powered by an octa-core Qualcomm Snapdragon 430 processor, with 3GB of RAM. 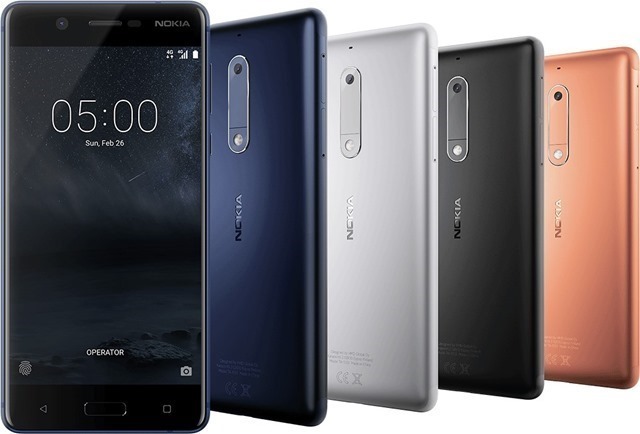 The Nokia 6 is the most expensive of the three phones, but still features the same processor as the Nokia 5 but with 3GB of RAM and 32GB of storage, and a similar aluminum metal body. The display on the Nokia 6 is a 5.5-inch IPS LCD 1080p Full HD screen with a brightness of 450 nits, and Sunlight readability. The device features a 16 megapixel rear camera with PDAF, dual LED Flash, and an 8 megapixel front camera. The phone has Dual speakers, and a Smart amplifier (TFA9891) with Dolby Atmos, and is backed by a 3,000 mAh battery. The home button on the Nokia 6, houses a fingerprint scanner. For full specifications of the Nokia 3, Nokia 5 and the Nokia 6, read our previous coverage of the devices.